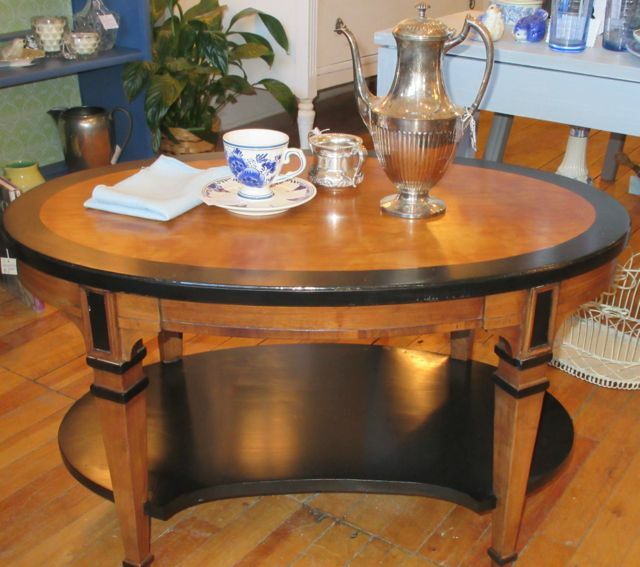 The Middle Sister offers a mix of cleverly re-purposed items and classic traditional furniture. 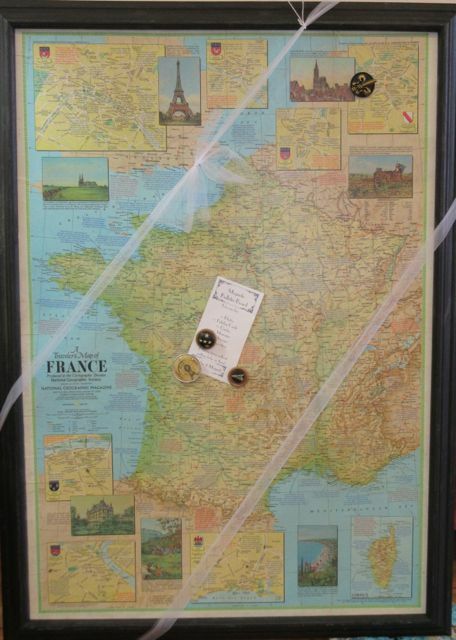 Who wouldn’t love a magnetic board with a map of France for inspiration? 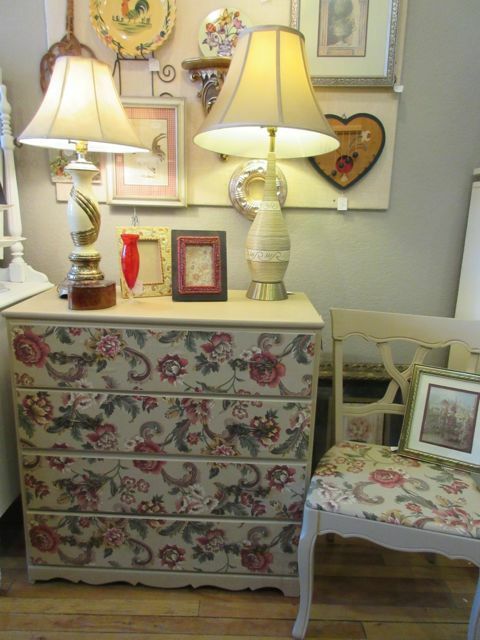 Covering dresser drawers with the same fabric as the seat of a chair makes a definite style statement. It’s fun to see creativity like this. Yet leaving a handsome piece of vintage furniture alone shows an appreciation for good style too. See these pieces and more at 416 Snelling Avenue South today from noon to 5 pm. Happy saling! This entry was posted in Cool Idea, Find of the Day/Spotlight feature, Inspiration, Shop Spotlight, This Week's Sales. Bookmark the permalink.